Do you think you could only produce a quart size jar of garbage…for one year? Is that even a goal you want to work towards? Personally, I’m not striving to get my waste down to a particular size – but I AM looking to be more mindful of the waste our family produces, and make changes that are sustainable and simple. This post has 13 green living tips from five Zero Waste bloggers and vloggers. April 22 is Earth Day! Earth Day was founded on April 22, 1970 by Gaylord Nelson, then a U.S. Senator from Wisconsin. His goal was to bring environmental concerns for clean air and water in the forefront of the media and the national political agenda. 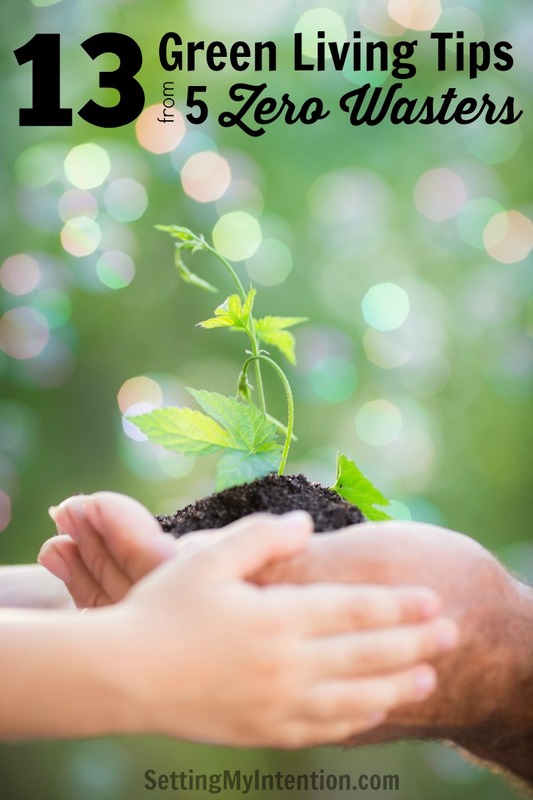 It worked – by the end of that year, the first Earth Day had led to the creation of the US Environmental Protection Agency and the passage of the Clean Air, Clean Water, and Endangered Species Acts. Those are just a few easy things you can do, but I’ve also got a whole beginner’s guide to zero waste post that might be super helpful for anyone new to reducing waste. 1.) Start by looking in your trash can/rubbish bin – what is there a lot of? 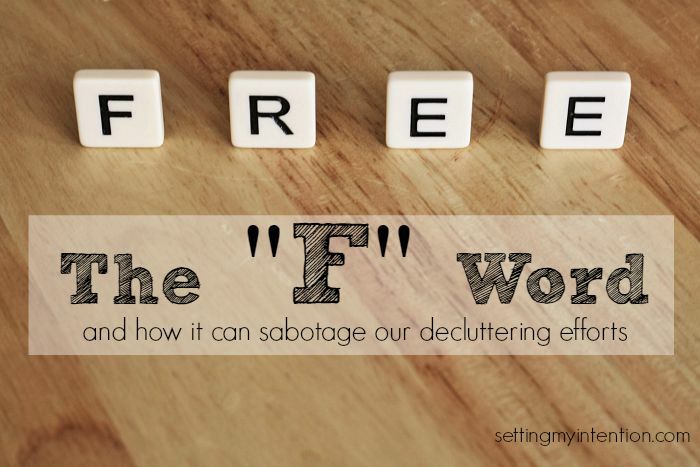 Focus on one thing you see over and over in your trash or recycling bin. Is it plastic water bottles? Switch to a reusable and carry it with you. Is it food scraps? Start a compost heap. Full of tissues? Start using handkerchiefs. 2.) 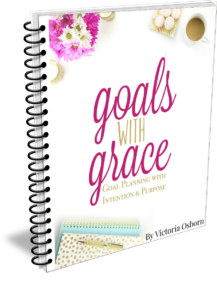 It doesn’t need to be all or nothing – baby steps are great! Trying to reduce all your waste at once can be overwhelming, so start with changing just one thing and when that’s incorporated into your life with ease then make another change. 3.) First REFUSE! It’s easy to think you need to spend a ton of money when you start out, but you don’t need a lot of fancy stainless steel products or specialty items, simply start by refusing what you don’t need – plastic straws, paper napkins, flyers, freebies, plastic bags for your fruits and veggies – refusing is simple, free and has the biggest impact! Understand how waste affects you as an individual, how it will affect your closest friends and family, and what is happening in your local community. There is nothing more powerful than having a personal conviction to power you through a journey which can be sometimes frustrating and difficult, but very much rewarding. 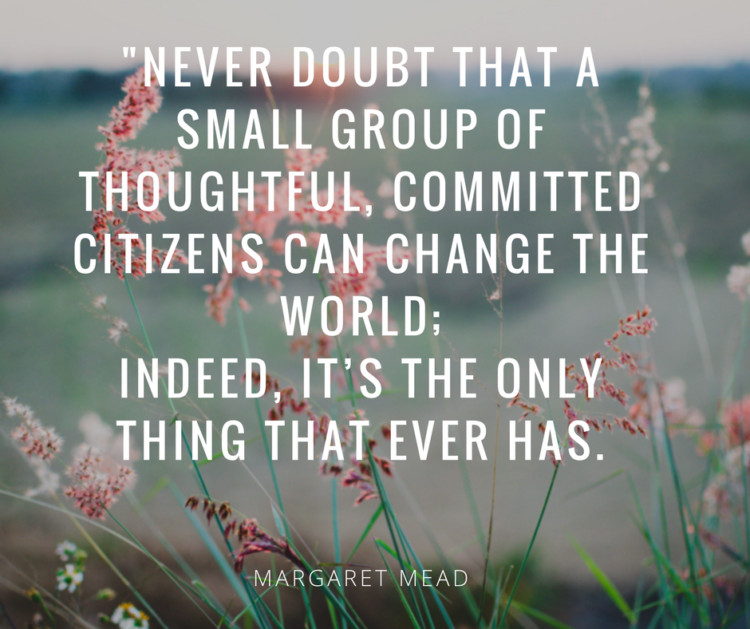 Connect with other individuals living zero waste in your local area. You can usually find them through the Zero Waste Bloggers Network, or social media outlets such as Instagram and Facebook. It is always helpful to have someone to bounce ideas off with and to support you as you both go on your journey! Tackle your waste one step at a time. You can start with your kitchen, your closet, or perhaps by asking yourself every time you throw something away, “What is a more sustainable alternative to this?” Becoming zero waste does not happen overnight, but takes time — so be patient and celebrate the small successes with yourself and inspire those around you as you make your way! Start by simplifying your life in general (closet, kitchen, etc.). The lighter your home feels, the less likely you will be to bring things into it that have no genuine value – things you will ultimately throw away. Give yourself every opportunity to be successful by equipping yourself with the necessities: a canvas tote, reusable cloth produce baggies, jars to store bulk goods, and a cutlery kit to use on the go. Refuse any and every disposable you come across. 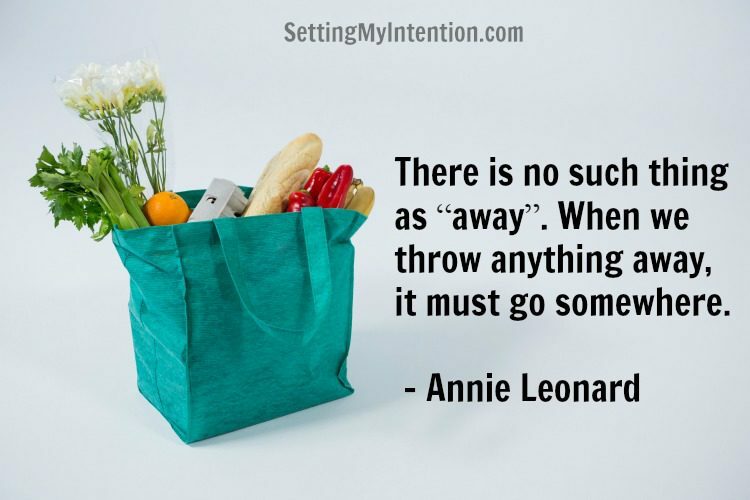 Say no to plastic bags, paper napkins, throwaway coffee cups, plastic straws, grocery bags, and anything else that has a distinctly finite life. I love how each Zero Waste advocate shared something that we could all easily implement. 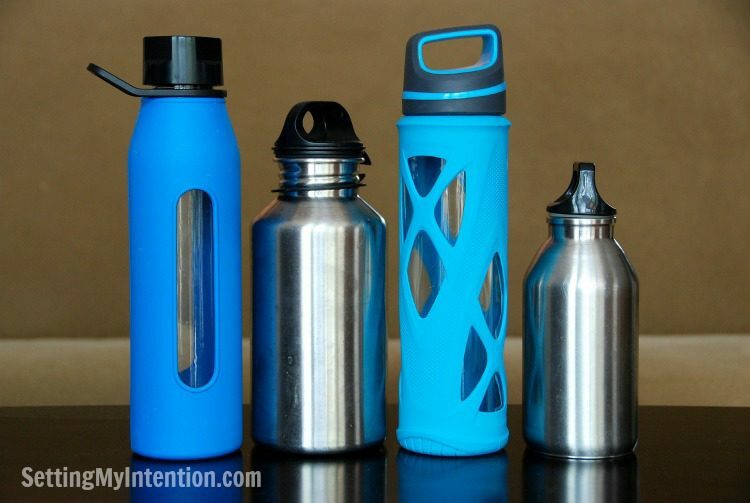 It’s pretty common now to see people walking around with a reusable water bottle, or a reusable coffee cup. One of the things that I’ve felt challenged to do is to remember my water bottle, coffee cup, and stainless steel fork every day. Instead of reaching for a plastic fork at work, I’m remembering to pack a stainless steel one from home. I used to rewash and reuse the plastic forks until they inevitably broke, but now I’m refusing that one simple thing. Instead of using a paper cup at church for coffee, I’m trying to remember to bring my coffee thermos every Sunday. Another simple thing I’ve started doing is keeping one of the smaller reusable grocery bags that we own and keeping it in my purse. It folds up really small so it’s convenient to keep with me in case I go to the drugstore or just buy a few items somewhere. It’s become a habit to use my reusable bags during weekly grocery trips, but it wasn’t for quick trips anywhere else. I was finding myself with plastic bags from the drugstore or corner store. Watching these Zero Waste vloggers and reading their blog posts, has increased my awareness of simple things I could implement in order to lessen my environmental impact. I love Kate and Christine’s encouragement to just start with observing what we’re already doing and thinking about a sustainable alternative. We may never be able to only produce a quart size jar of trash in one year…but we can all make simple changes in our daily routines to live a more sustainable life. What’s one thing you could add or subtract from your daily routine to make greener choices this Earth Day? Thank you for sharing! These are great tips! Baby steps are how I am working to reduce waste. I just bought my first glass water bottle last week! I am so excited about all the savings with what goes into the trash bin and in my pocket! Thanks Lauren! I have loved learning from you and other sustainability bloggers! 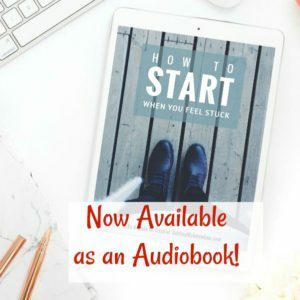 I am all about baby steps Erin! All of our baby steps together are going to make a huge difference. Thanks for reading and commenting! It was such an honor to be included in this post! And I love the way you highlighted just how simple some of these changes can be. It’s actually the reason I started The Zero Waste Memoirs – to show people that it IS possible to live an elegant, but eco-friendly life. So great to meet you Audrey! That’s a really good point! The other day when I was having a work session, I was so proud of myself for using my own travel mug at Starbucks!